Nowadays, there is a ton of information out there for every service Microsoft has released, which is a good thing. But there are times when you search for something special, but you can’t find it as there are too many sites and resources which you need to crawl to find what you are looking for. 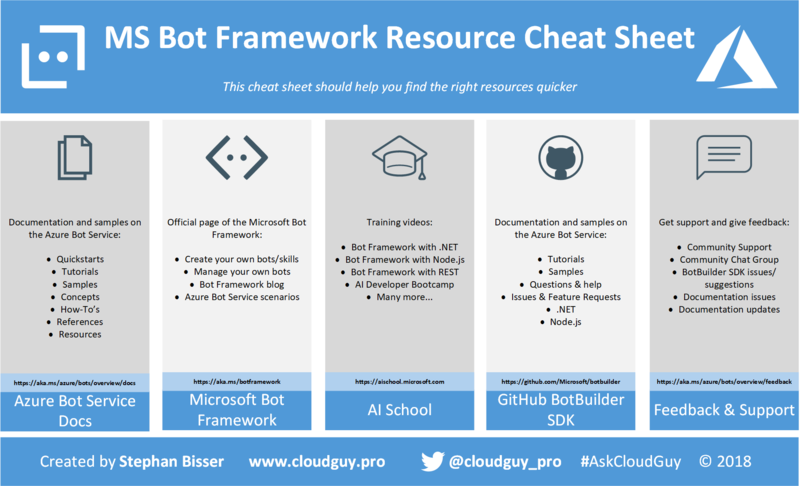 The same is true for the Azure Bot Service and the MS Bot Framework, as there is plenty of documentation, but it is spread over a couple of different sites. Very helpful – thanks for this!